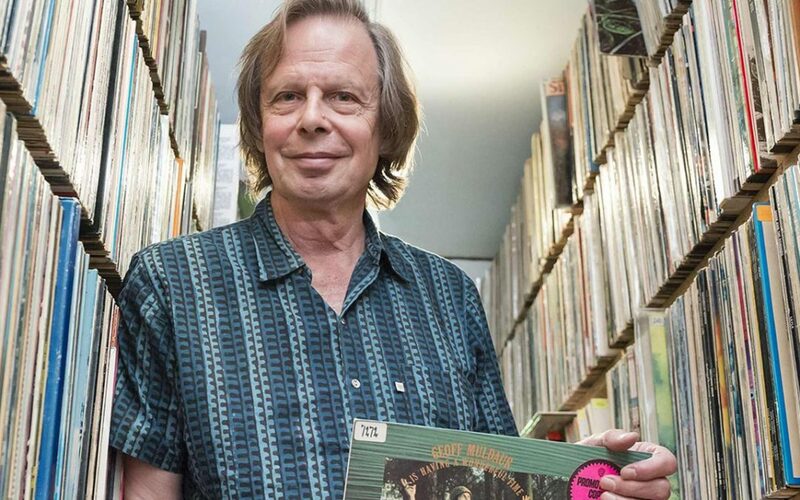 fRoots Magazine presents a special intimate talk and Q&A with legendary record producer JOE BOYD. Loosely titled “Folk Rock from Newport to Fairport”, it will undoubtedly range far beyond those parameters as his CV will make apparent! Born in Boston in 1942, Joe graduated from Harvard in 1964. After university, he worked as a production and tour manager for George Wein in Europe where he traveled with Muddy Waters, Coleman Hawkins, Stan Getz and others; and at Newport Folk Festival in the USA where he supervised Bob Dylan’s electric debut. In 1966, he opened UFO, London’s psychedelic ballroom. His first record production was four tracks by Eric Clapton & The Powerhouse for Elektra in 1966. He went on to produce Pink Floyd, Nick Drake, The Incredible String Band, Fairport Convention, Sandy Denny, Richard & Linda Thompson, Maria Muldaur, Toots & The Maytals, REM, Kate & Anna McGarrigle, 10,000 Maniacs, Billy Bragg, Cubanismo, Taj Mahal and many others. As head of music for Warner Brothers Films, he organised the scoring of Deliverance, Clockwork Orange and McCabe And Mrs Miller and made Jimi Hendrix, a feature-length documentary. He later went into partnership with Don Simpson to develop film projects. He helped set up Lorne Michaels’ “Broadway Pictures” in 1979-1980, then started Hannibal Records, which he ran for 20 years. In 1988, he was Executive Producer of the feature film Scandal. In 2006, Joe published a memoir, White Bicycles: Making Music In The Sixties. It received high critical praise, has sold 75,000 copies world wide and has been translated into 6 languages. He has toured widely in the UK and US with Robyn Hitchcock in the show “Live and Direct from the 1960s” in which he reads and talks and Robyn sings the appropriate songs. He has also produced concerts in celebration of Nick Drake, Kate McGarrigle, Syd Barrett, Fairport Convention and the Incredible String Band. Recordings of the Drake and McGarrigle concerts were released in the first half of 2013. Joe resides in London and is working on a book on World Music. Profits from tonight’s event are to be donated in support of fRoots Magazine.